Visit the Artists' Gallery in Sunriver to see how our many talented artists have been inspired over the winter! There are lots of new artworks in the gallery and we are excited to welcome photography artist Richard Frederick to the group. Outlet Shopping Elevated... Offering over 20 brand name retail outlet stores to fit every shoppers need. Outdoor enthusiasts will love shopping at Nike Factory Store, Columbia Sportswear, Pearl iZumi and Izod. Women will find their fill of incredible deals at Dress Barn, Maurices and L’eggs Hanes Bali Playtex. Bend Factory Stores also offers brand name outlets for both men and women at Eddie Bauer, Coach Factory Store & Coach Men’s Factory Store, Pendleton Outlet and Van Heusen. With ample parking and covered walkways, Bend Factory Stores is the place to shop year round in Bend. 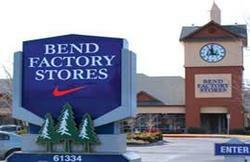 Come discover the ultimate outlet shopping experience at Bend Factory Stores. NOW OPEN! - The store will include a full Ace Hardware store, Hallmark Crown Store, Pet Farm and Feed, Sporting Goods, Housewares and Tool Rental Department. Flowers Can Bring a Smile, Give You Comfort or Make You Laugh. This Colorful Medley of Blooms from FLOWERS AT SUNRIVER VILLAGE, Can Express a Loving and Cheerful Message for Any Occasion. 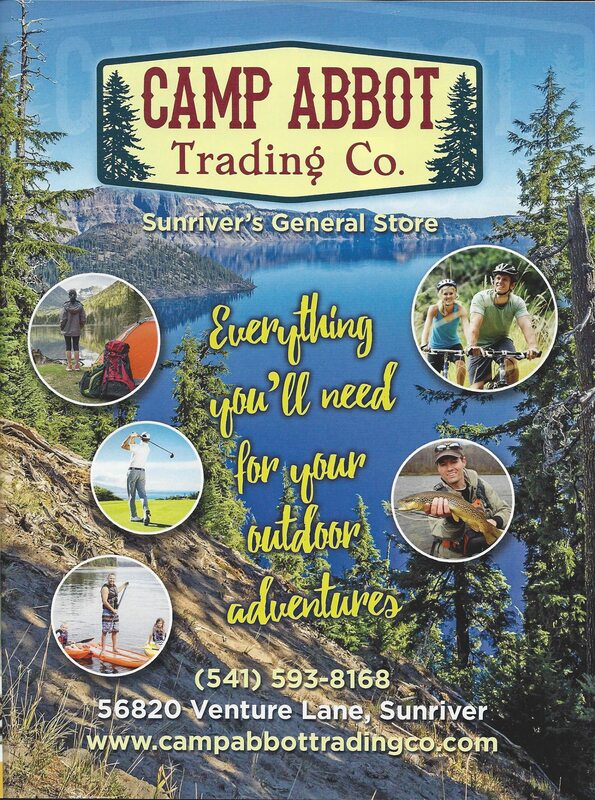 4 Seasons Recreational Outfitters has been serving Sunriver and Central Oregon residents and travelers for over 25 years. Our friendly, experienced staff is always ready to help with all your recreational needs. Whether it is biking on the 30+ miles of paved bike paths here in Sunriver, or exploring the spectacular mountain biking or Winter sports here in Central Oregon, our staff is ready to outfit you with everything you need to enjoy your visit. 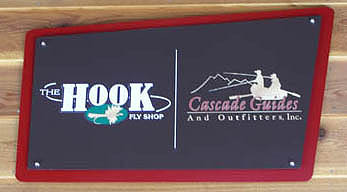 The Hook fly shop is open year round and as a full service dealer, we can offer you the quality you're looking for, from flyrods and equipment to local flies tied by guides from our shop. The staff at the shop has over 75 years of fly fishing experience. They are willing to help you in all your needs whether it be a question on where to fish, or what flies are working best, or how to tie that fly - just ask! 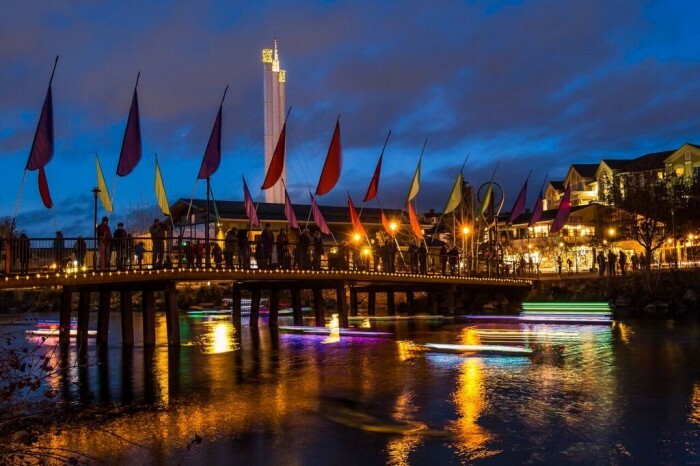 The Old Mill District is not your typical shopping mall. Sure it has over 40 stunning shops ranging from boutiques to big-name stores, but our shopping center is surrounded by miles of paved - and unpaved - walking and running trails, natural wildlife and animal habitats, and Deschutes River and Cascade mountain views from every angle. Getting outside is what being in Bend, Oregon is all about, so breathe in the fresh air as you roam from store to art gallery to winery to the latest movie. You’ll find over a dozen different restaurants from cool, casual and inexpensive to best of season cuisine, choice-cut steaks and fresh Northwest seafood. The Old Mill District is a charming shopping destination where your love of shoes and the great outdoors can happily coexist. Shop our weekly Specials. Find the best shopping & dining deals of the week. Our specials are updated daily! The Oregon Stores offer some of the best products that Oregon businesses have to offer. We carry products of over 200 Oregon companies in our stores. From Gourmet Foods, Myrtlewood, Souvenirs, Oregon wines, Clothing, Books, Jewelry, to Pendleton Woolen products we have a selection that will allow you to give a gift of Oregon to yourself or to others. Something for everyone! Shopping – Unique treasures at bargain prices. Come discover the wide range of merchandise including fashionable clothing, furniture, jewelry, baby needs, entertainment, electronics, books, housewares, tools, sporting goods, bicycles, appliances and more. Recycling and Disposal Services – The Second Tern will gladly take your good, clean, reusable clothing and household goods,giving them a second life in a new home. As a bonus, you get a charitable donation tax deduction! Welcome to Sunriver Books & Music. Our goal is to create an inviting, friendly bookstore where you will feel comfortable to browse, talk about books or just stop in to say hello. Books are a wonderful way to experience the world through someone else's perceptions. We think reading is a fabulous way to expand your horizons from the serious to the silly to the sublime. We have a wide selection of Fiction, Mystery, History, Biography, Current Events, Travel, Children, Nature, Animals, Hiking, Biking, Fishing, Gardening, Yoga, Golf, Health, Architecture, Journals, Science Fiction, Thrillers, and Local Interest. Hopefully we have just the right book for you! Fine Pens make writing a pleasure. We carry the some of most exquisite pens in the world including Montegrappa, Delta, Monteverde, Namiki, and Acme Studio. Writing with a pen that has beauty, balance and meaning makes the experience a sensual delight. Our store is a dog friendly place, Flashman, our CEO, is a dog. We have beautiful dog collars, leashes, toys, and treats. At Sunriver Fly Shop our goal is to get you out there catching fish! We intend to provide you with the perfect fly fishing experience by helping you choose your gear and giving you our best advise on where they're biting. Need Gear? 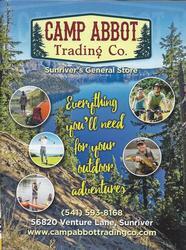 We have everything you'll need - the best product line around, at Sunriver's largest shop! It's a great place to stop before heading out. Owner Bob Gaviglio is a FFF Certified Flycasting Instructor and experienced guide. Check out our Lessons and Guides page, too. - Gem panning for the young and old. - Rock hunting tours for thunder eggs and petrified wood. - Thunder eggs where you can pick one and we will cut it for you while your watch. - Kids can have their picture taken on our velociraptor while your riding him along the lake! - Pick a bag of your own agates. Imagine parking the car and not starting it back up until your vacation is over. With 33 plus miles of paved bike paths in Sunriver, this is entirely possible. A typical day might include a ride around Sunriver with stops at the Nature Center, marina, stables, airport, and The Village. You may want to ride to the Deschutes River, the pools or tennis courts. And after dinner, a trip out to the North end. Here you will find Cardinal Landing Bridge for some fabulous photo ops, or star gazing at the Nature Center Observatory to complete your day. Come back down to the Village to enjoy some music and a beverage or ice cream at Goody's. Whether you are experienced or new to mountain biking, Sunriver and Central Oregon offer many trail opportunities. There are several beginner/intermediate trails easily accessible from Sunriver. We have found the Central Oregon Mountain Bike and Cross Country Map to be the main choice for locals and visitors alike. We keep plenty of those in stock. There are also miles of scenic road rides in the Cascade Lakes area - a real feast for the eyes. Sunriver and Central Oregon are a mecca for cyclists of all ages and abilities. What are you waiting for? Stop by for equipment, maps, and how to get started today! 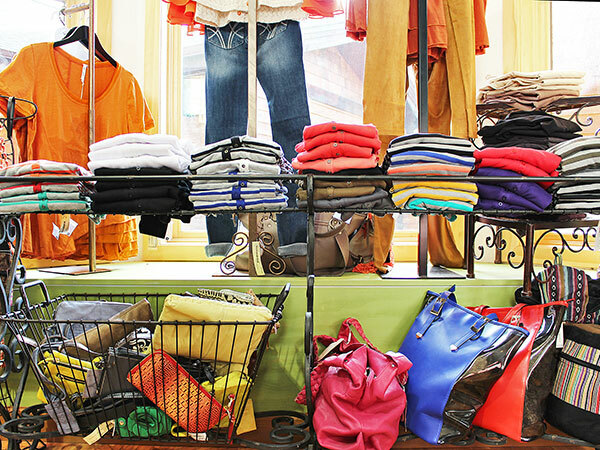 At The Closet, we provide a personalized shopping experience. It is our pleasure to assist you in finding everything from camisoles and leggings, to a smart and fun outfit for your night on the town. We are constantly receiving new merchandise, as our collections are always changing. 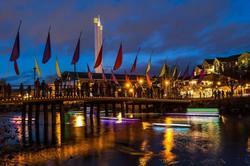 We strive to create a comfortable and fun destination point, that agrees with your wallet. 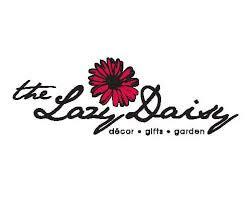 The Lazy Daisy is a collection of unique gifts, women's accessories, seasonal merchandise and beautiful home decor. The Lazy Daisy is proud to be a Vera Bradley retailer carrying a wide selection of all of her newest pieces. We also carry an array of women's accessories from jewelry, scarves, hats and and other novelty items. For those of you who own in Sunriver or are here on vacation and are looking for the perfect hostess gift or the newest decoration for your home please stop in as our friendly staff would love to help you find that perfect piece! 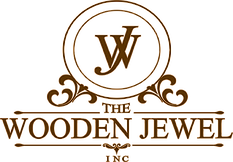 Hello and welcome to The Wooden Jewel, a unique blend of designer jewelry and wood art. Michael and Denise Bryant owners of the Wooden Jewel opened their doors February 14th 2013 in the Sunriver Village shopping area in Sunriver, Oregon. They decided that after years of traveling to art shows and long days on the road that they could combine their experience and talents in one place and stay close to home. Michael did not attend formal art training but gained much of his artistic inspiration from watching his mother who was an accomplished painter in the Bend area. His exposure to the arts provided the foundation he’d one day need to begin his art career. In the late 90’s he began with lamps and furniture and along the way he progressed into his true passion of sculpting animals. Not long after and many art shows he began winning awards and gifts for his talents. 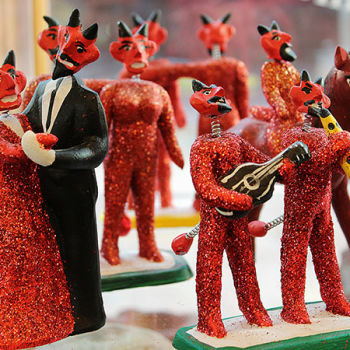 Sculpting animals is truly his gift and where he finds himself lost in the spirits of the creatures he magically brings to life. Sculpting single, solid pieces of some of the most beautiful woods North America has to offer, Michael ‘s talents are a gift to us all. 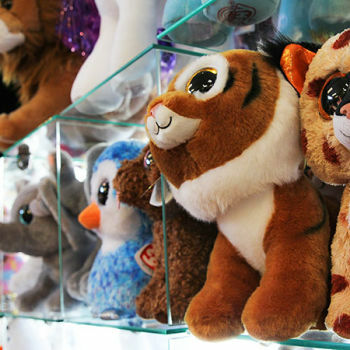 Tumbleweed Toys is a locally owned, vibrant, jam-packed toy store with fun for all. Our store is bursting with puzzles and blocks, dolls and bubbles, art supplies and hot tub toys, cards and journals, plus indoor and outdoor activities. Ski/ Snowboard Rentals: We’ve got what you need. Heading up to Mt. Bachelor for a day of snowboarding snowshoeing, alpine or nordic skiing? We have Sunriver's best selection of demo skis and the sharpest rental fleet in the region. Bike Rentals: Our rental fleet includes casual bikes for riders of every size, toddler/infant trailers, tandems, trail-worthy front-suspension mountain bikes, high-end Road bikes and state-of-the-art Full Suspension Mountain Bikes. If you brought your own bike to Sunriver and it needs some TLC, our full service repair shop can get you rolling quickly. We also carry a full line of parts and accessories. Our mechanics have a combined 45 years of experience in the bike industry and have seen every problem under the sun. Village Threads is a women’s clothing boutique for all seasons. We look for trendy clothes and accessories for a variety of ages and lifestyles. You’ll find brands like Neon Buddha, Jag Jeans, Michael Stars, Hobo Handbags, Pj Salvage, Nomadic Traders, Neesha, Soybu, Paige Denim, XCVI, Kerisma, Tart, Weston Wear, Elan, Mystree, and many more!